As a famed name in the industry, buyers can stay rest assured for on-time delivery as we are supported by modern facilities. 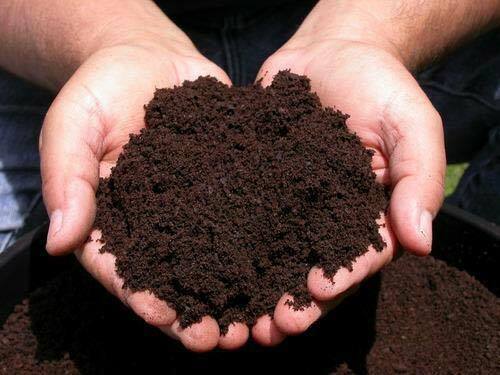 Ranked among top suppliers of Bio Vermicompost, we can provide the product at economical prices. We also assist in developing vermicompost projects for our customers by the assistance of which they can convert any waste like hotel or canteen waste, agro waste into rich manure. We provide these services to large corporate companies (for canteen waste), Large apartments, builders, hotels, resorts, farm house to corporate farming projects. Vermicomposting is the best biotechnology to reduce the load on the treatment and disposal of biodegradable agro waste. Vermicompost is the product or process of composting using various worms, usually red wigglers, white worms, and other earthworms to create a heterogeneous mixture of decomposing vegetable or food waste, bedding materials, and vermicast. Vermicast, also called worm castings, worm humus or worm manure, is the end-product of the breakdown of organic matter by an earthworm.These castings have been shown to contain reduced levels of contaminants and a higher saturation of nutrients than do organic materials before vermicomposting. Vermicompost can be mixed directly into the soil, or steeped in water and made into a worm tea by mixing some vermicompost in water, bubbling in oxygen with a small air pump, and steeping for a number of hours or days. The dark brown waste liquid, or leachate, that drains into the bottom of some vermicomposting systems as water-rich foods break down, is best applied back to the bin when added moisture is needed due to the possibility of phytotoxin content and organic acids that may be toxic to plants. The pH, nutrient, and microbial content of these fertilizers varies upon the inputs fed to worms. Pulverized limestone or calcium carbonate can be added to the system to raise the pH. Easy To Protect - As Apparently Visible. Moisture Content Can Be Maintained. As Installed Above The Ground, Protection From Ants, Mice's, etc.